AWS Security Hub gives you a comprehensive view of your high-priority security alerts and compliance status across AWS accounts. There are a range of powerful security tools at your disposal, from firewalls and endpoint protection to vulnerability and compliance scanners. But oftentimes this leaves your team switching back-and-forth between these tools to deal with hundreds, and sometimes thousands, of security alerts every day. With Security Hub, you now have a single place that aggregates, organizes, and prioritizes your security alerts, or findings, from multiple AWS services, such as Amazon GuardDuty, Amazon Inspector, and Amazon Macie, as well as from AWS Partner solutions. Your findings are visually summarized on integrated dashboards with actionable graphs and tables. You can also continuously monitor your environment using automated compliance checks based on the AWS best practices and industry standards your organization follows. Get started with AWS Security Hub in just a few clicks in the Management Console and once enabled, Security Hub will begin aggregating and prioritizing findings. AWS Security Hub reduces the effort of collecting and prioritizing security findings across accounts, from AWS services, and AWS partner tools. The service ingests data using a standard findings format, eliminating the need for time-consuming data conversion efforts. It then correlates findings across providers to prioritize the most important findings. With Security Hub, you can run automated, continuous account-level configuration and compliance checks based on industry standards and best practices, such as the Center for Internet Security (CIS) AWS Foundations Benchmark. These checks provide a compliance score and identify specific accounts and resources that require attention. Integrated dashboards bring together your security findings across accounts to show you the current security and compliance status. Now you can easily spot trends, identify potential issues, and take the necessary next steps. For example, you can send findings to ticketing, chat, email, or automated remediation systems using integration with Amazon CloudWatch Events. Meet the AWS APN Partners who have integrated into AWS Security Hub to provide customers with additional information and insights to understand their security posture and recommended remediation steps. Click here to see a full list of our AWS Security Hub integration partners. Security Hub offers aggregated findings across AWS services and partner solutions, pre-configured and custom security insights, and multi-account support. 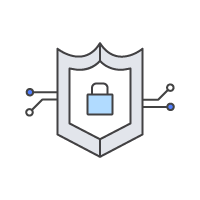 Get started building with AWS Security Hub in the AWS Console.